Why don't we feel safe any more? Suddenly, unexpectedly, the deafening sound of automatic gunfire echoes around the room. Then comes the sound of terrified people screaming and crying. The atmosphere is tense. It becomes clear that horrific events have taken place where previously the sound of vibrant people filled the air. Relaxing over a meal, listening to music and watching a favourite sport are suddenly replaced with screams, horror and death. Mindless slaughter of innocent Parisians is carried out in the name of an ideology twisted to suit the aggressive objectives of an angry minority. How can any such killing be condoned? Why should anyone force their beliefs on others? Why are some people so wicked? 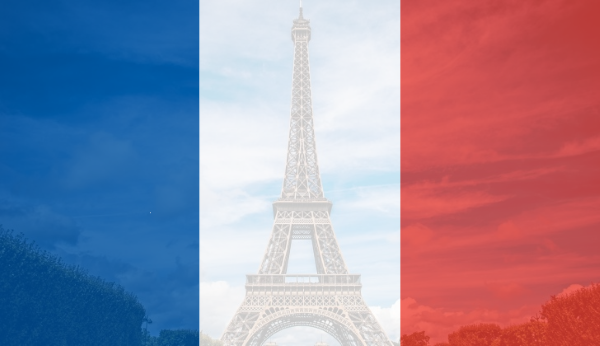 with sympathy to all those affected by the Paris attacks. 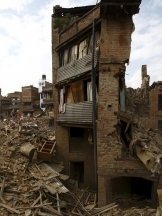 It doesn't seem so long ago that there were two back-to-back mega earthquakes in Nepal. The second occurred as soon as the recovery teams arrived on site to help the survivors of the first. The loss of life in these natural events was frightening. Damage to the communities was devastating. Can you imagine the emotional stress with broken families and loss of livelihood? The frequency of devastating natural disasters seems to be increasing. Governments are ineffective, little protection is possible and prevention is a pipe dream. Pain and suffering are facts of life, living is the process of dying and the presence of evil makes everything worse. The cry we often hear is, "Why does God allow this?" What is God's role in all of this? First, we have to accept that God exists. If he doesn't then there is no moral argument to discuss: this is how things are and mankind will evolve to extinction. That is not God's intention. The existence of evil, the perpetration of atrocities like that in Paris; these are direct results of human choice of activity. We have the freedom to choose our own actions but that freedom brings responsibility, our actions have consequences. On the other hand, natural disasters arise from the living planet we inhabit, although human activities have even influenced the balance of nature. We have a choice now: do we just want someone to blame, or do we seek to understand how God works? Pain and suffering, however they are caused, are inescapable realities of life. We must ask, "Why?" and "will it ever end?" What's wrong with our world? By natural tendency human beings are mostly concerned about themselves. "Me", "myself" and "I" feature prominently in our thinking. In the first two chapters of the Bible God is described as creating a perfectly balanced world. There was total harmony which even extended to humanity. Humans were given free will to make choices but rebelled by not following God's clear directions. The Bible calls this rebellion "sin". It had catastrophic consequences. Mankind became subject to decay, disease and death - things that were not part of God's original design. "sin entered the world through one man (Adam) and in this way death came to all men, because all have sinned." In other words, Adam infected the entire human race; every generation inherits the same genes. The planet's state of perfection has also deteriorated over time. The increase in natural disasters reflects its decay, accelerated by various human activities. God could still have intervened. Why should he though? Would you accept losing your freedom of choice? If God tweaked the laws of nature to ensure everyone's safety all freedom would be gone. If God prevented wars then what about terrorists? What level of control of human activity would be necessary to create zero pain and suffering? It would need to permeate through to thought level, leaving effectively no freewill at all. Would you expect that to lead to a fulfilling quality of life? The Bible points to a very different way. It lays a path for Man to reach out for harmony and promises a future time when disasters will not even be remembered. 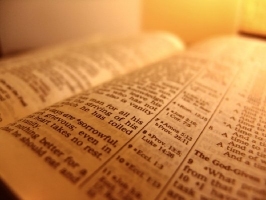 The Bible guides the Godly committed person through the benefits of learning by suffering, to a life filled with God. We know that from Adam's genes we are naturally motivated by "self". A key part of the message of the Bible is that this self-centredness will be replaced by God-centred motives. The world is on the road to destruction. Each day there is more news of disasters and of problems caused by unrestrained human activity. This will soon trigger another big war. The Bible predicts that it will be focused in the Middle East. At this time God will intervene and start the process of returning the world to harmony. The Bible message is truly one of hope for a hopeless world! One of our recent videos deals with the good news in the Bible and the hope for the future.